Do you currently live within the Peckham area of London and need a local plumbing service that can deal with all plumbing problems that you have? If so then choose Home Cure to help you along. From boiler repairs and installations to leaking taps and blocked drains we can fix it all with no hassle what so ever. For the problems that are that bit more difficult we have specialist plumbers that can help so you know all problems are covered by us. All plumbers here have a lot of expertise behind them and are very professional. 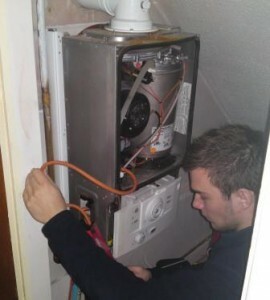 We also have a great knowledge of the local area and have plumbers scattered around the whole area so you know that we will always turn up on time no matter what. Home Cure’s customer satisfaction is very high and we never carry out a bad job. Before any job is carried out we will tell you the prices so that there are no nasty surprises at the end and we will never charge you for a call out. During the job we will keep you up to date so that you know everything that is going on, this enable our customers to feel less worried about the job and before our plumber leaves your home he/she will make sure that you are fully satisfied with the job that has been carried out.